With their rich and full flavour, lingonberries are a traditional staple in the Swedish kitchen and marry well with international cuisine. 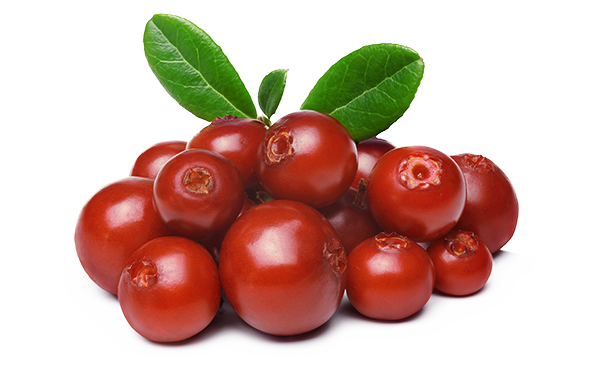 They are also a superberry that contains many valuable vitamins and beneficial antioxidants. Lingonberries are highly tolerant of cold weather, do not like hot summers and are sweeter if harvested after the first frost. They thrive in clearings and forests with low levels of vegetation, and it is here that we pick them by hand in the autumn. With their special blend of bitter, sweet and sour, they are nothing short of exquisite. Lingonberries are a Swedish superberry and are rich in vitamins E, K and C to name but a few. Packed with all kinds of goodness, lingonberries contain beneficial antioxidants that boost our health and strengthen our immune system.